While California community associations cannot charge a fee (unless their CC&Rs allow for a fee), boards can still hold hearings and make these kinds of determinations. In fact, many homeowner association CC&Rs mandate that boards review and make a binding determination of the view impact dispute. Statistics obtained recently from the city tell a different story. 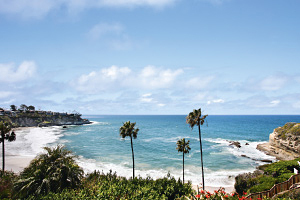 According to the Times article, the Laguna Beach City Council this month is scheduled to consider adopting a separate ordinance related to city-maintained trees and vegetation that will outline a process for residents wishing to restore lost views due to trees planted on public property. Many homeowner associations have language in their CC&Rs or should consider adopting some language to address the association’s own landscaping and view obstructions. SwedelsonGottlieb has assisted many California community associations with their view obstruction issues and disputes. Contact our office if your association needs help addressing view obstruction disputes or adopting rules or CC&R provisions to deal with same.